Boys Scouts hold a troop meeting in the F.W. 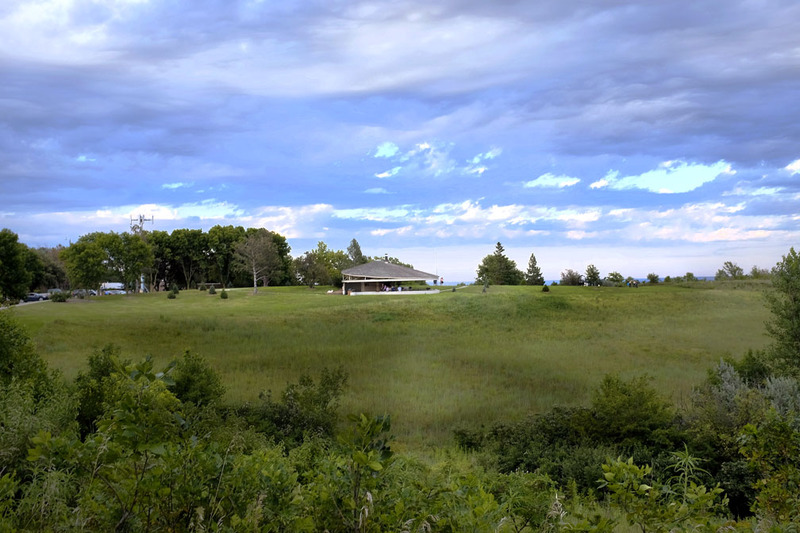 Thomsen Shelter at Black Elk-Neihardt Park on a summer evening. Parks, libraries, and recreation centers help to create an overall impression of the strength and vitality of a community. Blair takes great pride in the beauty and diversity of its parks and the quality of its sports facilities. That is why it is particularly discouraging when you see these public spaces trashed and residents upset, intimidated and fearful of using them. In my estimation, Black Elk-Neihardt Park is our town’s most distinctive and beautiful park. The Tower of the Four Winds at the center of the park can be seen for miles in every direction. Visitors to the city often visit the park to see the monument which is featured on every city and Chamber of Commerce website. 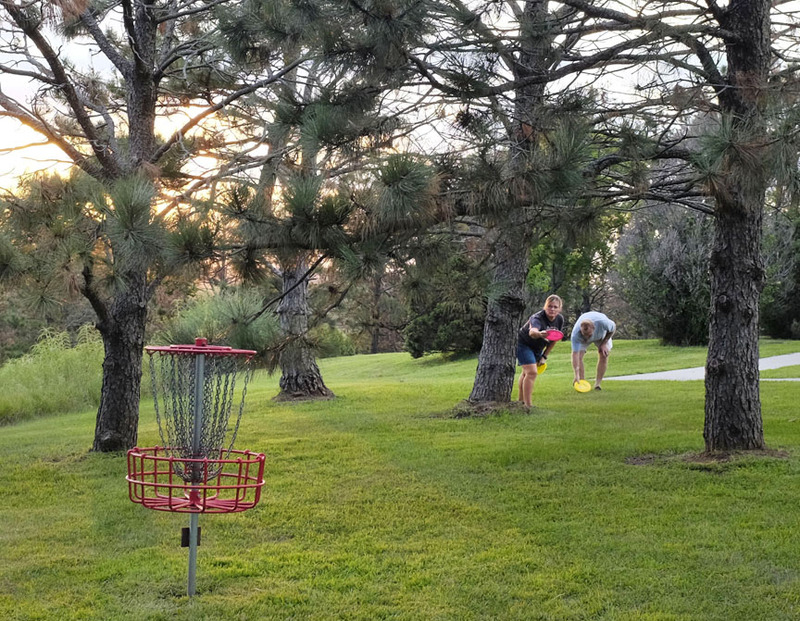 Disc golfers from Omaha as well as Blair describe the park’s disc golf course one of the best, and certainly the most beautiful course in the Omaha and metropolitan area. The disc golfers from Omaha that I interviewed last week said they come here two and three times a week to play. Before playing, they say they often pick up trash strewn usually within arms length of the trash receptacle. They say they enjoy the park and want to keep it looking nice. They also shake their heads and say it’s too bad the park has become a hangout for the teenagers congregating in the parking lot. There are many, many people who love and respect the park. Friends of Black Elk Neihardt Park – formerly the Black Elk-Neihardt Park Board – were instrumental in getting the park built nearly 40 years ago. The Thomsen Shelter is dedicated to Dana College professor Rev. F.W. Thomsen who designed the tower and was the driving force behind the creation of the park. Several years ago two large bronze relief sculptures of John G. Neihardt and Black Elk were cast. Construction of a plaza to display sculptures was scheduled to begin this year, but the plan is on hold and a new location sought, due to fear of vandalism if they are installed in the park. The vast majority of the young people who visit the park do not cause problems, but there are some who feel they should be able to say or do or act in whatever way they please. The park should be used and is used by people of all ages. There is nothing wrong with meeting friends in the park and enjoying the day or the evening, but park patrons and neighbors should not have to put up with vandalism, vulgar language, blaring music, screeching tires, and reckless driving. Recently a woman I know was walking in the park in the late afternoon. She watched as a pick up truck raced backwards through the lot spinning its tires. When she attempted to take a picture of the truck and license plate with her cell phone, the young men in the truck yelled at her and told her not to take pictures. They yelled and intimidated her to the point where she left the park. Blair Police Chief Joe Lager says call the police. If you see illegal activity or feel threatened, call 911. If you don’t want to call 911, but see suspicious activity or a situation that may get out of hand, call Washington County dispatch 402-426-6866 any time, day or night. In Lager’s words, “The tail should not wag the dog.” A small group of youth should not be able to dictate who should use the park. A regular or even an irregular police presence that goes beyond a patrol drive-by can also make a difference. During the several weeks following a July City Council meeting and the report by homeowners of reckless behavior, the Chief directed his officers to spend time sitting in the parking lot while doing their reports, and to keep their cameras running. During those weeks, and for some time after, the inappropriate activity subsided. Police presence works. I understand that police often have higher priority matters to attend to, but at least occasional visits by the officers that go beyond driving through the parking lot could go a long way to help mitigate the problem. Another possibility is to install a surveillance camera. The camera would not have to be permanent. The device could be moved to other parks and facilities when the need arises. The last thing I want to do in this column is to discourage people from spending time in the park. When the Boy Scouts hold meetings, and when there are other events and adult supervised activities, trouble makers go somewhere else. The more the park is used by patrons for appropriate activities, the better for everyone. The parks should be inviting and welcoming to all. Measures need to be taken to protect our parks and the city’s reputation as a family friendly community. 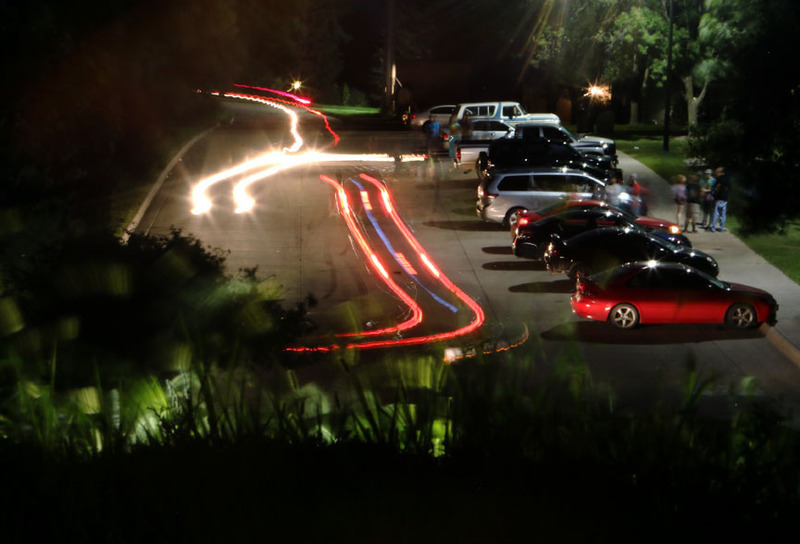 Some vehicles park while others cruise in and out of Black Elk-Neihardt Park on a Friday evening. The park has become a controversial meeting place for area young adults. The morning after. 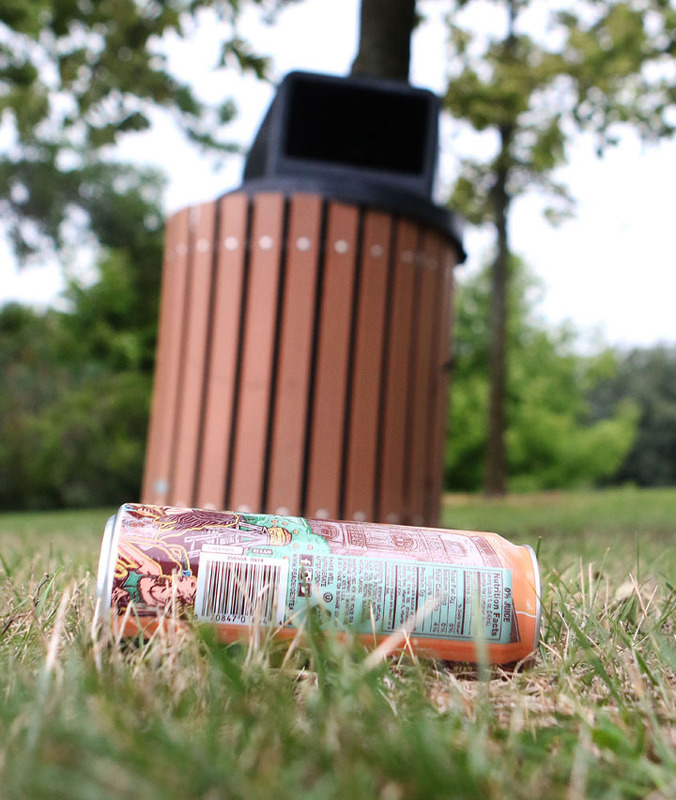 Drink can litters park within arm’s reach of trash receptacle.